The best thing about Pancake Day is how it always sneaks up on you. Right around late February, when absolutely nothing else is going on and you're counting down the days until summer, then all of a sudden - BOOM. You're smacked right in the face with a sneaky little holiday of sorts. Okay so it's not a day-off-work, parades and presents sort of holiday, but it is a holiday nonetheless. A holiday when you're obligated to chow down on pancakes for breakfast, lunch, dinner and dessert, and sometimes all four. You can't beat that. So treat yourself this year and go all out with some fluffy, American-style buttermilk pancakes. 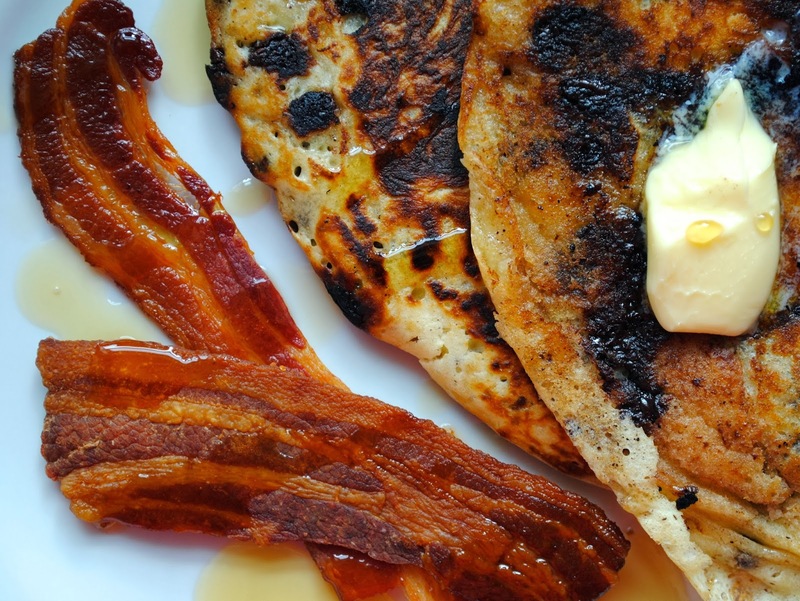 Throw some chocolate chips in there, crisp up some bacon and smother the whole thing in maple syrup. Ain't nothing wrong with that. No method here. If you don't know how to make pancakes, then I can't help you.